Native Instruments Traktor Kontrol F1 USB DJ Controller DJParts - All Variety of Parts that DJ Needs. Native Instruments' Traktor Kontrol F1 Remix Deck controller proves, yet again, that the same company responsible for the Traktor DJ software platform has its finger firmly on the pulse of the digital DJ world. If you're a controllerist or long for a way to integrate loop and sample remixing into your live DJ sets, then the Traktor Kontrol F1 is just what you've been waiting for. 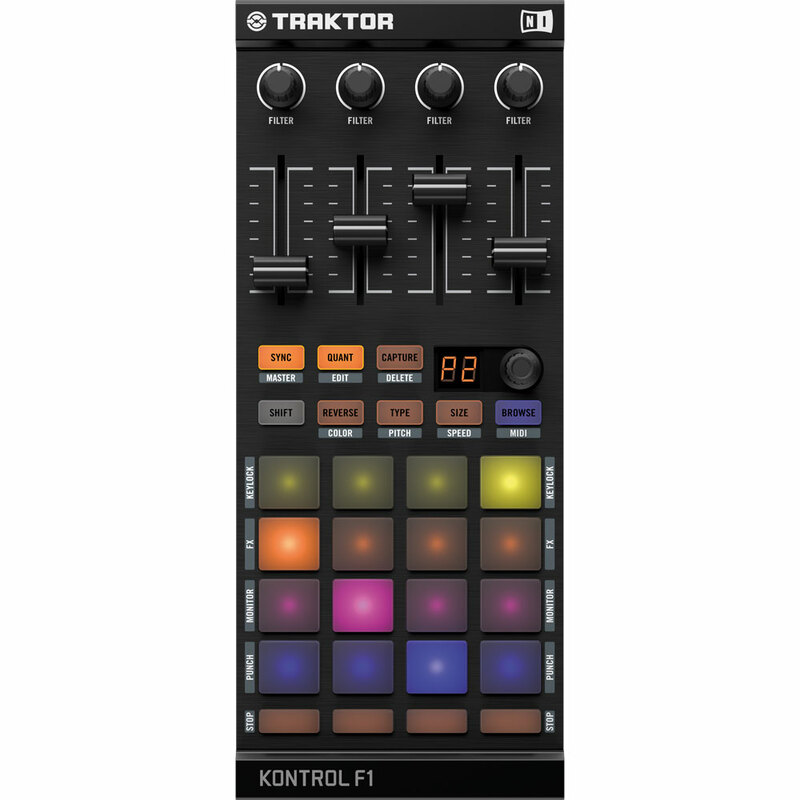 Traktor Kontrol F1 features a matrix of backlit soft buttons and smooth faders, all of which correspond to the functions of Traktor Pro's innovative Remix Decks. Get instant access to 64 loops and samples in Traktor Pro.